ReFlex Power is a high density, modular programmable power system providing DC, AC and electronic load assets all under control of a single controller. It provides a reconfigurable, flexible platform ideal for ATE and production test environments where RFP can provide programmable stimulus and bias power as well as programmable loads for the device(s) under test. 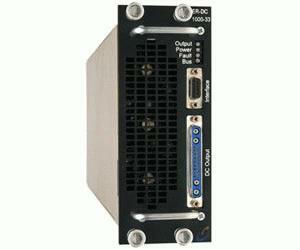 The DC power supplies of the ReFlex Power system include models rated at 330W and 1kW. They are part of a modular family of power assets that integrate into the ReFlex Power Mainframe to provide a wide range of features, functionality, and extensive configurability and adaptability. The modules can be set up to operate as standalone assets, or in combinations of parallel, series, and series/parallel groups to extend voltage, current, and power ratings. The ReFlex Power system of DC power supplies brings modularity to DC power assets, and makes possible a high degree of reconfigurability and adaptability through a Mainframe-based architecture. It extends the modular configuration to high power DC assets, without compromising performance or the controls feature set. The mechanical design is ruggedized for harsh environments, including mobile applications, as well as general-purpose industrial and laboratory rack-mount ATE.